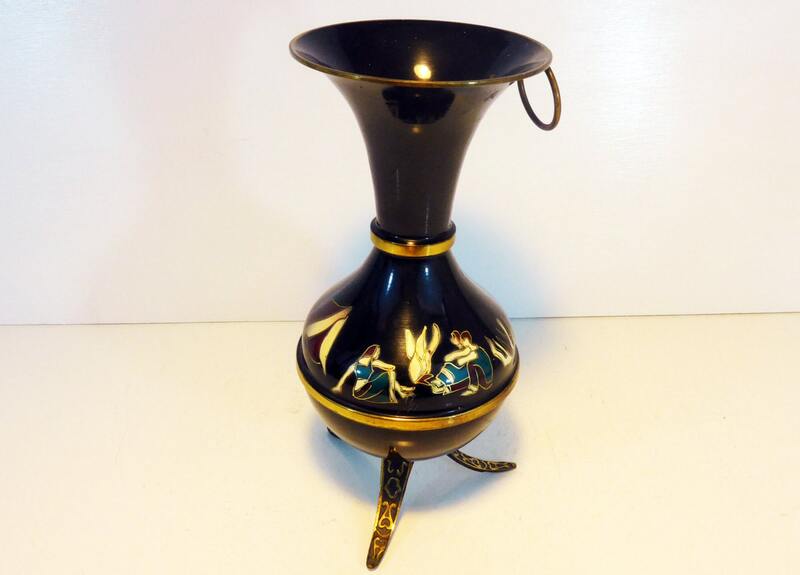 Vintage pitcher with a black background with teal and burgundy (or maroon) with brass (gold color) scheme. 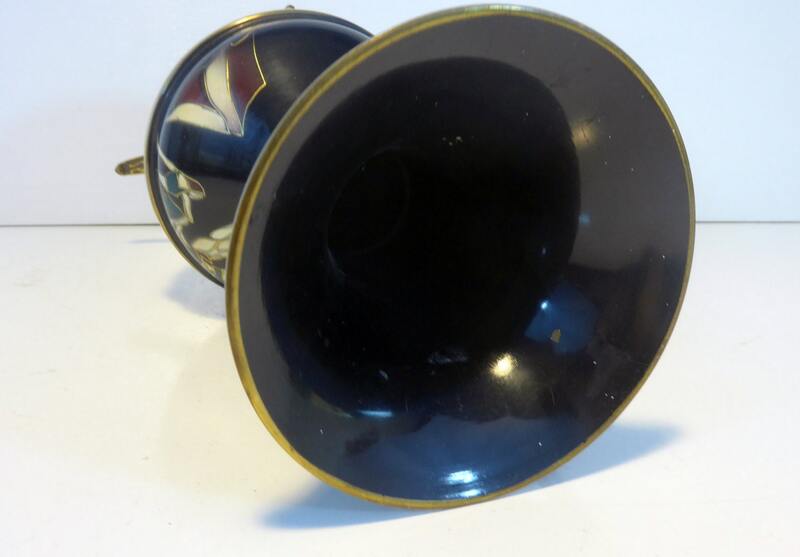 It appears to be brass with enamel design on it. The front features a scene with three people around a fire. 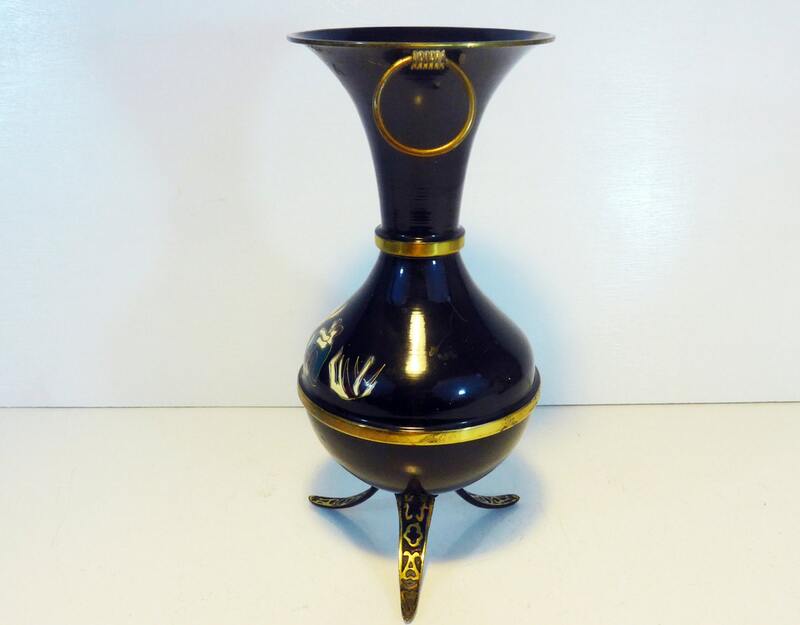 There is a gold hoop/loop on the top and a brass/gold band in the center of the neck section and around the widest part of the vase/pitcher. 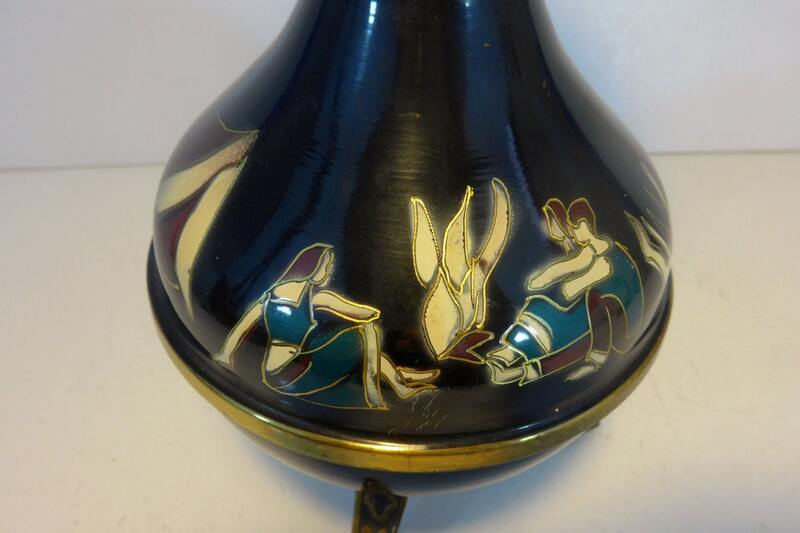 This vase or pitcher home decor item is reminiscent of works by the Dayagi brothers from Israel, famous for these designs and colors that were in vogue during the 1950's-1960's. There are three legs and they have embossed designs on them. Bottom of one of the three legs is painted MADE IN ISRAEL. This vase or pitcher is in very good vintage condition, which means it looks great for being 60 years old. Slight wear near the top and light use marks here and there. 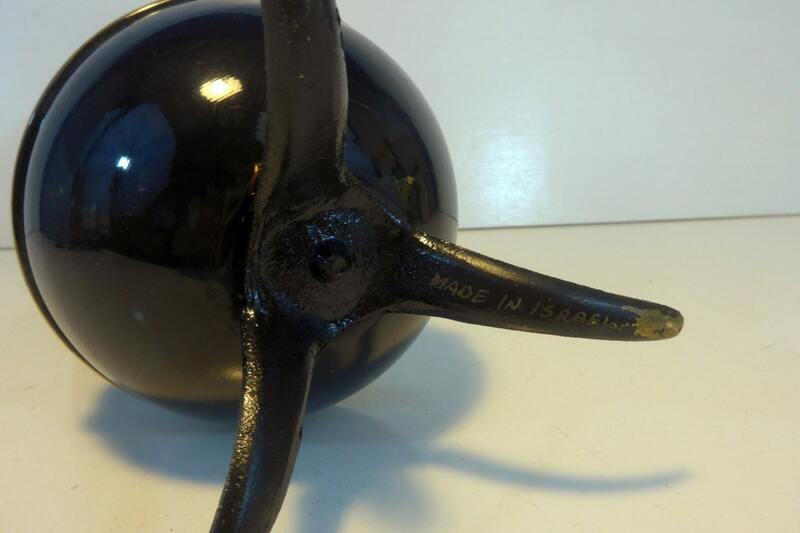 Measures 11" tall and is 4 1/8" in diameter at the very bottom, approx. 7'' wide (at widest).